A meditation on mortality, change, and loss, by turns somber, thoughtful, and humorous. 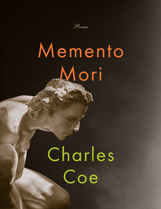 Memento Mori observes our human condition through a poetic kaleidoscope, with glimpses of irony and humor that offer a refreshing contrast to the more difficult moments. Coe is a storyteller who writes with compassion, insight and a razor-sharp eye for detail.